Definition at line 379 of file btrfs_drv.h. Definition at line 390 of file btrfs_drv.h. Referenced by _Function_class_(), add_checksum_entry(), add_data_reloc(), add_metadata_reloc(), add_metadata_reloc_parent(), add_root_item_to_cache(), add_root_ref(), balance_data_chunk(), balance_metadata_chunk(), clear_free_space_cache(), commit_batch_list_root(), convert_old_extent(), data_reloc_add_tree_edr(), decrease_extent_refcount(), delete_root_ref(), do_create_snapshot(), drop_chunk(), drop_root(), find_chunk_usage(), find_default_subvol(), find_disk_holes(), find_extent_data_refcount(), find_extent_shared_data_refcount(), find_extent_shared_tree_refcount(), find_send_dir(), find_subvol(), flush_changed_extent(), flush_fcb(), flush_subvol(), free_tree2(), get_dir_last_child(), get_extent_flags(), get_extent_refcount(), handle_batch_collision(), if(), increase_extent_refcount(), insert_tree_item(), is_extent_unique(), is_tree_unique(), load_chunk_root(), load_csum(), load_dir_children(), load_stored_free_space_cache(), load_stored_free_space_tree(), load_tree(), log_file_checksum_error(), log_unrecoverable_error(), look_for_balance_item(), look_for_collision(), look_for_roots(), mount_vol(), open_fcb(), open_fileref_by_inode(), query_dir_item(), scrub_chunk(), scrub_chunk_raid56_stripe_run(), send_add_tlv_clone_path(), send_extent_data(), send_inode(), send_inode_extref(), send_inode_ref(), send_read_symlink(), send_xattr(), split_tree_at(), trim_unalloc_space(), try_clone(), try_clone_edr(), try_tree_amalgamate(), update_backup_superblock(), update_changed_extent_ref(), update_chunk_cache(), update_chunk_usage(), update_extent_flags(), update_extent_level(), update_root_backref(), update_root_root(), update_tree_extents(), write_metadata_items(), and write_trees(). Definition at line 382 of file btrfs_drv.h. Referenced by commit_batch_list_root(), delete_tree_item(), do_splits(), find_item_in_tree(), find_next_item(), handle_batch_collision(), insert_tree_item(), load_tree(), remove_root_extents(), split_tree(), split_tree_at(), try_tree_amalgamate(), and write_trees(). Definition at line 383 of file btrfs_drv.h. 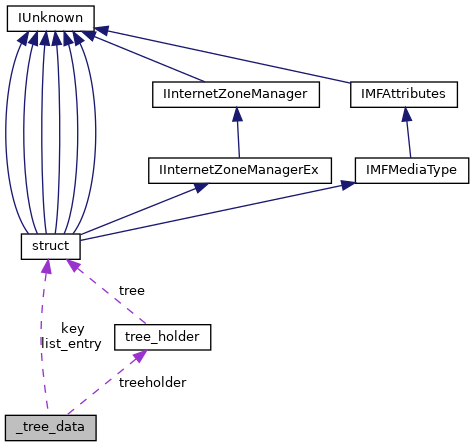 Referenced by commit_batch_list_root(), free_tree2(), handle_batch_collision(), insert_tree_item(), load_tree(), split_tree_at(), try_tree_amalgamate(), update_tree_extents(), write_metadata_items(), and write_trees(). Definition at line 380 of file btrfs_drv.h. Referenced by _Function_class_(), add_balance_item(), add_checksum_entry(), add_data_reloc(), add_device(), add_metadata_reloc(), add_metadata_reloc_parent(), add_parents(), add_root_item_to_cache(), add_root_ref(), allocate_cache_chunk(), balance_data_chunk(), balance_metadata_chunk(), clear_free_space_cache(), commit_batch_list_root(), convert_old_extent(), create_stream(), create_subvol(), data_reloc_add_tree_edr(), decrease_extent_refcount(), delete_root_ref(), delete_tree_item(), do_create_snapshot(), do_write2(), drop_chunk(), drop_root(), find_chunk_usage(), find_default_subvol(), find_disk_holes(), find_extent_data_refcount(), find_extent_shared_data_refcount(), find_extent_shared_tree_refcount(), find_item_in_tree(), find_send_dir(), find_subvol(), find_tree_end(), finish_removing_device(), flush_changed_dev_stats(), flush_changed_extent(), flush_fcb(), flush_subvol(), get_dir_last_child(), get_extent_flags(), get_extent_refcount(), get_first_item(), get_last_inode(), get_orphan_name(), handle_batch_collision(), increase_extent_refcount(), insert_tree_item(), is_extent_unique(), is_tree_unique(), load_chunk_root(), load_csum(), load_dir_children(), load_free_space_cache(), load_stored_free_space_cache(), load_stored_free_space_tree(), load_tree(), log_file_checksum_error(), log_unrecoverable_error(), look_for_balance_item(), look_for_collision(), look_for_roots(), mount_vol(), next_item2(), open_fcb(), open_fcb_stream(), open_fileref_by_inode(), print_open_trees(), query_dir_item(), remove_balance_item(), scrub_chunk(), scrub_chunk_raid56(), scrub_chunk_raid56_stripe_run(), send_add_tlv_clone_path(), send_extent_data(), send_inode(), send_inode_extref(), send_inode_ref(), send_read_symlink(), send_xattr(), shared_tree_is_unique(), skip_to_difference(), split_tree(), split_tree_at(), trim_unalloc_space(), try_clone(), try_clone_edr(), try_tree_amalgamate(), update_backup_superblock(), update_changed_extent_ref(), update_chunk_cache(), update_chunk_usage(), update_dev_item(), update_extent_flags(), update_extent_level(), update_root_backref(), update_root_root(), update_tree_extents(), wait_for_flush(), write_metadata_items(), and write_trees(). Definition at line 381 of file btrfs_drv.h. Referenced by commit_batch_list_root(), handle_batch_collision(), insert_tree_item(), load_tree(), next_item(), prev_item(), split_tree_at(), and try_tree_amalgamate(). Definition at line 389 of file btrfs_drv.h. Referenced by _Function_class_(), add_checksum_entry(), add_data_reloc(), add_metadata_reloc(), add_metadata_reloc_parent(), add_parents(), add_root_item_to_cache(), add_root_ref(), allocate_cache_chunk(), balance_data_chunk(), balance_metadata_chunk(), clear_free_space_cache(), commit_batch_list_root(), convert_old_extent(), create_stream(), data_reloc_add_tree_edr(), decrease_extent_refcount(), delete_root_ref(), delete_tree_item(), drop_chunk(), drop_root(), find_chunk_usage(), find_default_subvol(), find_disk_holes(), find_extent_data_refcount(), find_extent_shared_data_refcount(), find_extent_shared_tree_refcount(), find_send_dir(), find_subvol(), flush_changed_extent(), flush_fcb(), flush_subvol(), get_dir_last_child(), get_extent_flags(), get_extent_refcount(), handle_batch_collision(), if(), increase_extent_refcount(), insert_tree_item(), is_extent_unique(), is_tree_unique(), load_chunk_root(), load_csum(), load_dir_children(), load_stored_free_space_cache(), load_stored_free_space_tree(), load_tree(), log_file_checksum_error(), log_unrecoverable_error(), look_for_balance_item(), look_for_collision(), look_for_roots(), mount_vol(), open_fcb(), open_fcb_stream(), open_fileref_by_inode(), query_dir_item(), scrub_chunk(), scrub_chunk_raid56_stripe_run(), send_add_tlv_clone_path(), send_extent_data(), send_inode(), send_inode_extref(), send_inode_ref(), send_read_symlink(), send_xattr(), split_tree(), split_tree_at(), trim_unalloc_space(), try_clone(), try_clone_edr(), try_tree_amalgamate(), update_backup_superblock(), update_changed_extent_ref(), update_chunk_cache(), update_chunk_usage(), update_extent_flags(), update_extent_level(), update_root_backref(), update_tree_extents(), write_metadata_items(), and write_trees(). Definition at line 386 of file btrfs_drv.h. Referenced by commit_batch_list_root(), do_splits(), find_item_in_tree(), find_next_item(), find_prev_item(), insert_tree_item(), load_tree(), remove_root_extents(), split_tree_at(), try_tree_amalgamate(), update_tree_extents(), write_metadata_items(), and write_trees().